We also offer onsite mobile spa services to set your business apart, creating memorable experiences for your employees and clients! 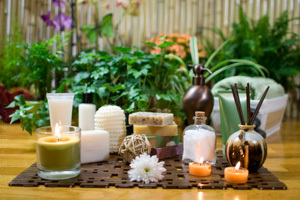 We specialize in staffing the best licensed spa professionals for Corporate Events, Trade Shows, Private Parties, Employee Appreciation Day, Health Fairs, Customer Appreciation Day with our on-site Chair Massages and Spa Stations.Our mobile spa services are a perfect way to make your event even more special, it is the added touch that your guests will always remember! Onsite massages, mini manicures and more! All natural sea salt soaks and scrubs with towel wrap and polish change. Always the life of any spa party! We can make your Event even more successful and partner with event, party and bridal planners too! Contact us for a complimentary consultation for your next event! Hit the Live Chat Button and let's get started!